Green Orchard, the home Paul Archer designed for his parents outside Bristol, England, sows the seeds of an active retirement. Architect Paul Archer has made a career of adapting and extending historic English houses for dozens of clients in and around London. 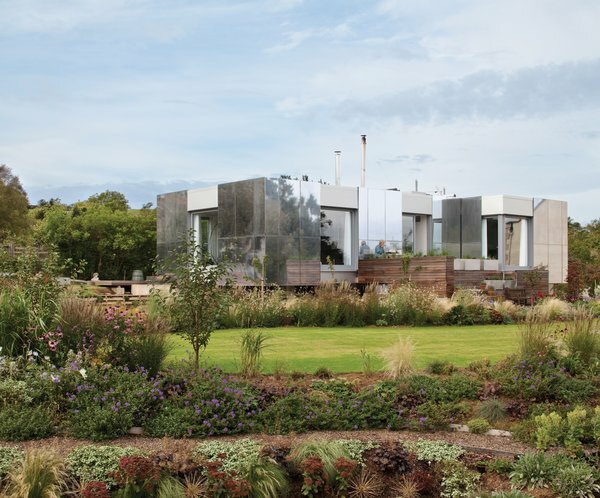 But when his mother and stepfather decided to move out of their 17th-century stone farmhouse, they wanted him to start from scratch to achieve, as he puts it, “something modern and low-maintenance.” Making a tall order more vertiginous still, they also wanted zero-carbon energy demands and to have plenty of space to garden. Doing their bit, Fred and Edna Wadham found a peaceful site in a wooded village outside Bristol, in southwest England. There, Archer elected to put the house at the center of the lot and to place large windows facing the surrounding landscape in every direction. 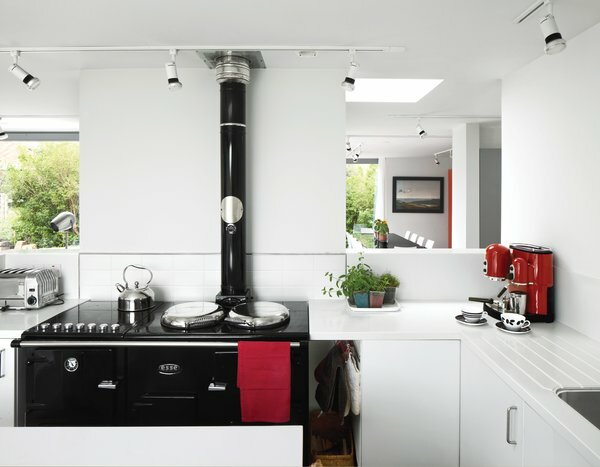 With the advice of his sister, Sally Merrett, an environmental scientist, and the engineers at Downie Consulting, Archer also installed a range of energy-saving solutions like thermally efficient glass for those big windows, specially designed shutters, heavy-duty insulation, a wood-burning and electric stove, thermal and photovoltaic solar panels, and a heat-recovery ventilation system. Now the Wadhams, though still connected to the grid, give back more energy than they use. 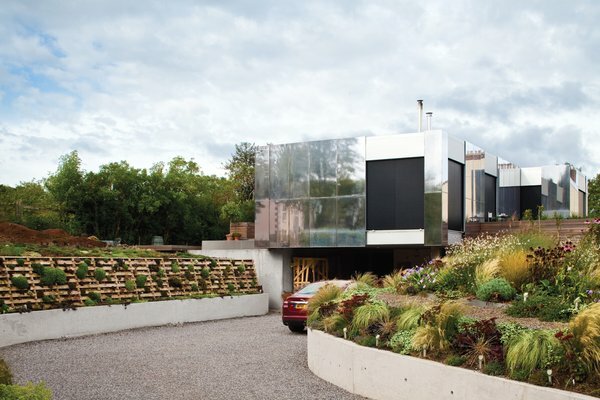 The most prominent feature of the house is its striking exterior, covered in shining aluminum panels. This skin, though initially quite polished, will eventually weather and dull and is meant to help the house blend with the landscape by reflecting its leafy environs.